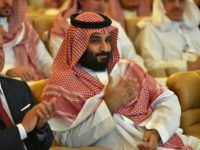 Authorities in Saudi Arabia launched a crackdown on supporters of two American, one of them pregnant, and nine other local women activists who drew the ire of the Sunni kingdom for fighting for their right to drive and to end the country’s male guardianship system, several news outlets reported Friday. 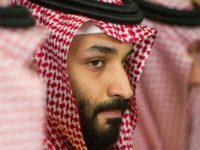 New York Times media columnist Jim Rutenberg eviscerated streaming giant Netflix for blocking an episode of the Patriot Act With Hasan Minhaj from streaming in Saudi Arabia following complaints about its portrayal of Crown Prince Mohammed bin Salman. 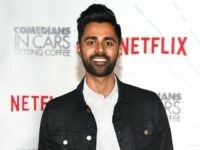 Netflix faced criticism on Wednesday for pulling an episode in Saudi Arabia of comedian Hasan Minhaj’s “Patriot Act” that criticized the kingdom’s powerful crown prince. 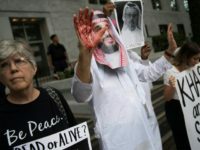 The Saudi Foreign Ministry released a statement on Monday condemning the United States Senate for passing resolutions last week that held Crown Prince Mohammed bin Salman personally responsible for the murder of Jamal Khashoggi and called for ending U.S. support for the Saudi-led military campaign in Yemen. 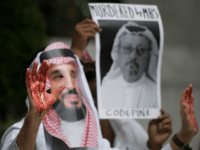 Istanbul – Luggage carried by a 15-member Saudi team dispatched to Istanbul included scissors, defibrillators and syringes that may have been used against journalist Jamal Khashoggi, who was murdered in the Saudi consulate, a pro-government Turkish daily said Tuesday. 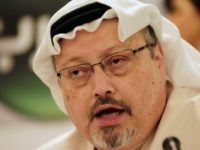 Saudi Arabia officials plotted the murder of journalist Jamal Khashoggi in their Istanbul consulate for days before committing the act, Turkey’s president said Tuesday. 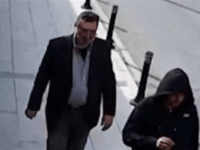 CNN on Monday reported it has obtained surveillance footage from Turkish officials that shows a Saudi operative walking around Istanbul wearing slain journalist Jamal Khashoggi’s clothes and a fake beard. 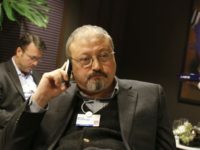 ISTANBUL, Turkey — Turkish President Recep Tayyip Erdogan on Sunday vowed to reveal within days the “naked truth” over the death of journalist Jamal Khashoggi, as Riyadh said it did not know the whereabouts of his body and that Crown Prince Mohammed bin Salman had been unaware of any operation to murder him. 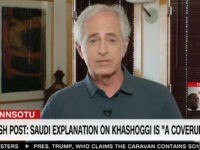 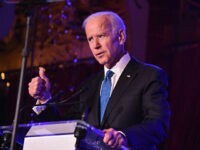 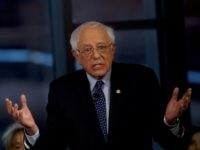 Sunday on CNN’s “State of the Union,” Sen. Bob Corker (R-TN) said Saudi Arabia’s story on the death of journalist Jamal Khashoggi was not “credible.” Corker also said Saudi Crown Prince Mohammad Bin Salman Al Saud was likely behind the death. 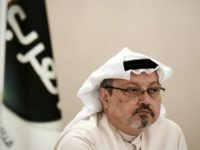 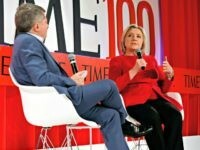 According to a Reuters report on Friday, Saudi Arabia’s King Salman bin Abdulaziz is “asserting himself” to control the diplomatic fallout from the disappearance of Washington Post contributor Jamal Khashoggi, who vanished over two weeks ago after entering the Saudi consulate in Istanbul to obtain some paperwork. 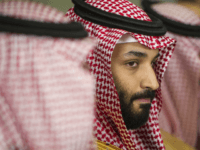 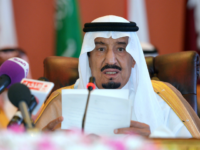 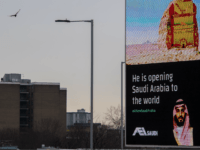 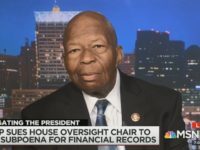 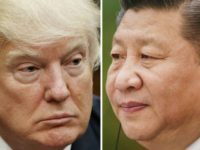 China is not sitting the Khashoggi imbroglio out. 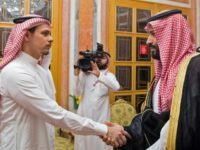 On Tuesday the state-run Global Times declared Jamal Khashoggi’s disappearance after visiting the Saudi consulate in Istanbul is a test of America’s commitment to human rights. 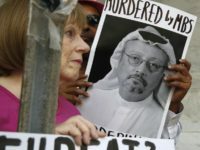 Graham says Saudi Arabia’s crown prince “has got to go” in wake of the alleged orchestrated killing of Jamal Khashoggi in Turkey. 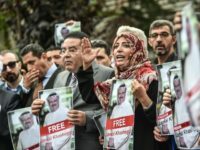 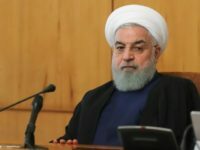 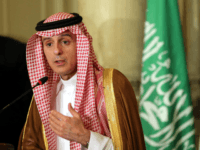 Iranian media hammered Saudi Arabia and its ally the United States over the disappearance of Jamal Khashoggi this week, accusing the arrogant Saudi “empire” of murder and the U.S. of complicity in the deed. 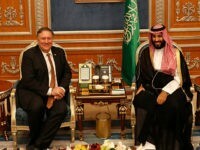 Secretary of State Mike Pompeo arrived in Riyadh, Saudi Arabia on Tuesday morning for urgent meetings with King Salman bin Abdulaziz, Crown Prince Mohammed bin Salman, and Foreign Minister Adel al-Jubeir to discuss the disappearance of Jamal Khashoggi. 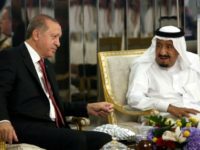 Turkish officials said they expect Pompeo to visit Ankara next, bringing important information about the case from the Saudis. 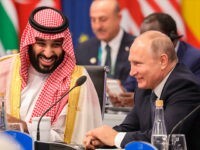 The dispute between Qatar and its Gulf Cooperation Council neighbors now threatens to reshape both the political and literal geography of the Middle East. 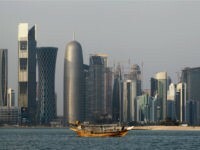 Saudi Arabia is considering a plan to dig a canal that would turn the Qatari peninsula into an island.